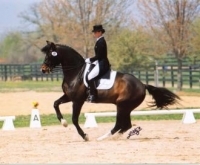 WarmbloodStallionsNA.com is used and bookmarked by mare owners for "stallion shopping." Traffic to our site more than doubles in the fall and winter when breeders are choosing stallions for spring. We reach out to breeders on Facebook, with our active page at WarmbloodStallionsNA. Our Warmblood Breeding email Newsletter sends stallion and breeder news to thousands of North American mare owners. is an online marketing powerhouse, developed over a decade, with a network devoted to getting your stallion known to breeders. Make sure your stallion is a part of it! We offer three-way promotional packages for stallions, farms, and businesses - with options for every budget. We offer ad packages for promoting a single stallion, and cost-effective packages for promoting a farm with multiple stallions. We also have packages for businesses with no stallions that want to advertise their products or services. If you have one stallion to promote, you've come to the right place. Mouse over each feature to read a description. For a complete list of what's included in each package, click here. Stallion ProfileFull online Stallion Profile for 12 months. on Top of Home PageYour stallion appears in the big slide show at the top of the home page all year. Displays his name, and is clickable to his Stallion Profile. Limit 18 stallions in the slide show at any time. Your News on the Front PageWe invite you to submit news about your stallion and we'll post it in our "News and Announcements" boxes on the front page. Web BannerAll Web Banners appear on the home page and most info pages. Zones determine position, which varies according to screen size (e.g. desktop vs. phone). Bring traffic to your website or FB page with a Web Banner. Stallion StoryThe story behind each stallion's success. People love to read about what the stallion is like at home! Stallion GalleryOur Stallion Gallery is a popular photo showcase of every active stallion on our website It includes photo, "one-liner" description, location, and a link to the stallion's Stallion Profile page. Featured "From Our Gallery" Box"From Our Gallery" boxes appear on the home page and other pages of the website; each box is filled at random with one of the active stallions on the site, so each stallion gets a turn on the front page. Facebook Stallion AlbumWe promote your stallion's Stallion Profile on our Facebook page by sharing his photo to our Stallion Album. 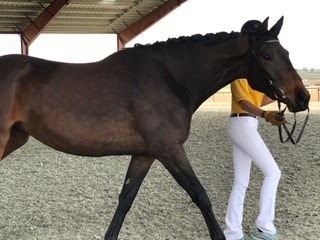 We share photo, name, short "one-liner" description, and a link to his Stallion Profile on our website. Regular Facebook InteractionsWe maintain an active connection on Facebook with hundreds of breeders, keeping them informed about our website, promoting our stallions, and bringing quality traffic to the site. Custom promotion availableAsk about creating a custom plan to promote your stallion on Facebook. eNews link to your stallionOur email newsletter for breeders reaches thousands. 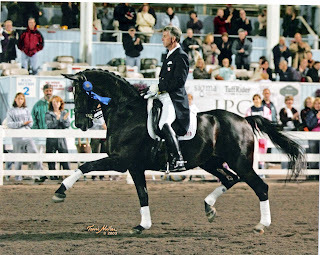 Every January our Special Edition email newsletter goes out with a list of every active stallion on our website, including name, "one-liner" description and a link to his Stallion Profile. It's a popular feature and always gets clicks. Your news featuredA teaser of your news will be included in our email newsletter, with a link to read the full story. Optional "Please Bug Me" ServiceWe'll help you maximize your package benefits by contacting you personally with reminders. Click here for pricing and to purchase. Do you want to promote your farm and multiple stallions? We have combined the features you need into cost-effective packages. Choose Your Farm/Stallion Package, then customize for the number of stallions you want to promote. Stallion ProfilesTwo or more full online Stallion Profiles for 12 months. Custom pricing based on number of stallions; pay less per stallion for more stallions. More than 7 stallions? Unlimited Stallion Profiles at no additional cost! on Top of Home PageYour stallions appear in the big slide show at the top of the home page. Displays name, and is clickable to his Stallion Profile. Images change quarterly, in February, May, August, November; limit 18 images per quarter. Farm VIPs have two images in each quarter. Stallion StoriesThe story behind each stallion's success. People love to read about what the stallion is like at home! Featured "From Our Gallery" Box"From Our Gallery" boxes appear on the home page and other pages of the website; each box is filled at random with one the active stallions on the site, so each of your stallions gets a turn on the front page. Custom promotion availableAsk about creating a custom plan to promote your stallions on Facebook. Do you want to enjoy the benefits of advertising on WarmbloodStallionsNA.com, but you don't have a stallion? We have a business package that is perfect for you! Do you own a breeding farm? A breed registry? Are you a trainer? Do you have a business that you want breeders to know about? This is the one you want. Your News on the Front PageWe invite you to submit news about your business and we'll post it in our "News and Announcements" boxes on the front page. Custom promotion availableAsk about creating a custom plan to promote your business to our followers on Facebook. Need Help Creating Your Promotional Pieces? Our in-house design studio, Freestyle Graphic Design, has been creating custom graphics for horse people for over 20 years! If you aren't comfortable designing and creating your own ad materials, we can help. Whether it's a website or web banner, for this site or another, a business card or a multi-page printed brochure, we can help. Just give us a shout, tell us what you'd like, and we can give you a cost estimate. Click here for more about Freestyle Graphic Design. To see examples of our design work, please visit the Freestyle Graphic Design website.